You must first login on Facebook to start searching your future friends. 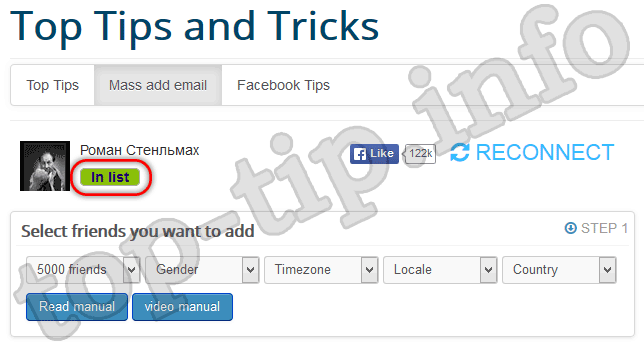 Just click "Login with Facebook" button. Please note the label . This means that other users can also invite your to be friends. 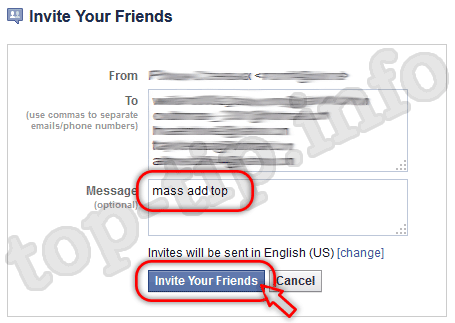 If you do not want to receive invitations to friends just click on label what will appear which means that others can not invite you to friendship on Facebook using "Mass add email". how many to add friends. We recommend you first add 100 friends. - or block your Facebook account. 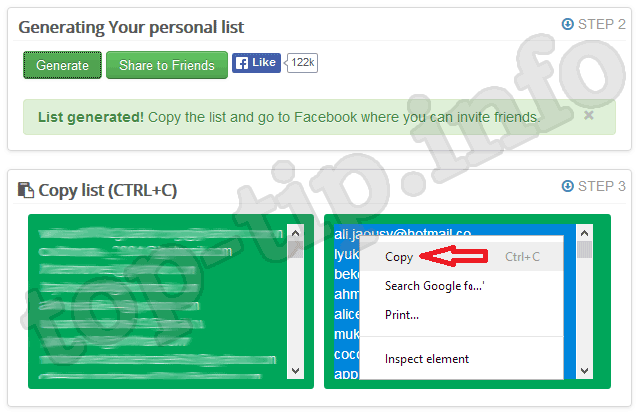 Next you can choose gender of users who will get invitations to be friends on Facebook. 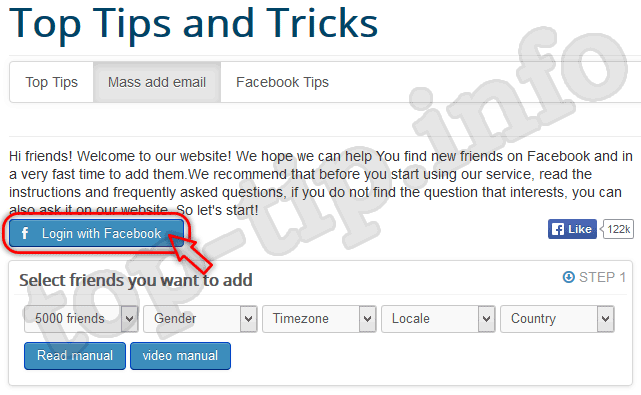 Next select timezone, locale and country into which will be sent an invitation to be friends on Facebook. 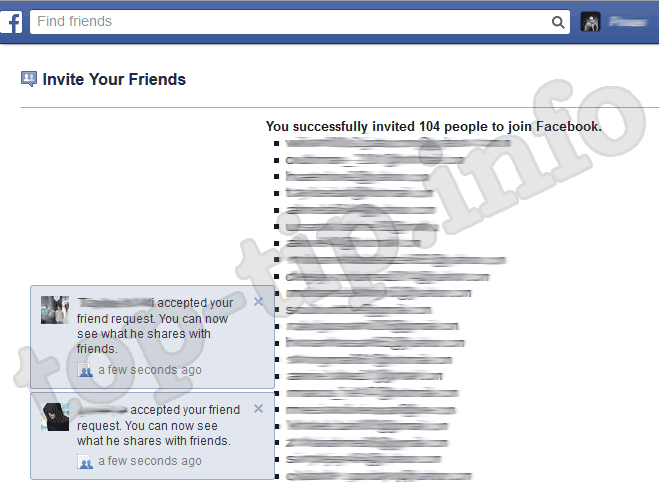 Enjoy using and remember that if your account on Facebook is only created don't send too many invitation at once to avoid possible lock your Facebook account.